In a week when American and US Airways officially closed on their $16 billion merger deal to create the largest carrier in the world, the airline industry got more good news on the financial front from the International Air Transport Association (IATA). IATA, revising upward its industry financial outlook for 2013, said all world airlines combined are expected to return a global net profit of $12.9 billion. This is due, in part, to increased passenger demand and an increase in ancillary revenues. The airline association also said global carriers are now expected to report an even higher net profit of $19.7 billion for 2014. Both figures are higher than IATA’s September forecast, which a net profit of $11.7 billion in 2013 and $16.4 billion in 2014. Indeed, after years of reported losses in the industry, airlines can apparently no longer claim poverty. IATA said the upward revision reflects lower jet fuel prices over the forecast period as well as improvements to the industry’s structure and efficiency. Passenger markets continue to outperform the cargo business, which remains stagnant both on volumes and revenues. Indeed, IATA is expecting to see a 31 percent increase in passenger numbers between 2012 and 2017. By 2017 total passenger numbers are expected to rise to 3.91 billion, an increase of 930 million passengers over the 2.98 billion carried in 2012. IATA said it expects 2014 to be a second consecutive year of strengthening profitability, a period that began in 2012 when airlines posted a net profit of $7.4 billion. At the same time, IATA sounded a note of caution, observing that net profit margins remain weak at 1.1 percent of revenues in 2012, 1.8 percent in 2013 and 2.6 percent in 2014. According to IATA, the expected $19.7 billion profit in 2014 would come on projected revenues of $743 billion. While this would be the largest absolute profit for the airline industry, outstripping the $19.2 billion net profit that the industry returned in 2010, IATA said it is important to note that 2010 revenues were $579 billion. The net profit margin in 2010 was 3.3 percent, some 0.7 percentage points higher than the 2.6 percent expected for 2014. “Overall, the industry’s fortunes are moving in the right direction,” said Tony Tyler, IATA’s director general and CEO. “Jet fuel prices remain high, but below their 2012 peak. Passenger demand is expanding in the 5 to 6 percent range—in line with the historical trend. Passenger numbers are expected to reach 3.1 billion in 2013 and rise by 6 percent to 3.3 billion in 2014. At the same time, according to IATA, airline competition remains intense and industry-wide average yields are expected to fall by 0.2 percent in 2013 and by 0.6 percent in 2014. 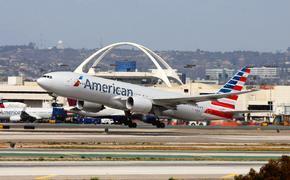 Airlines also are using ancillary revenues to drive their improved financial numbers. Worldwide ancillary revenues have risen to an estimated $13 per passenger. On a per passenger basis, ancillary revenues are greater than the $5.94 per passenger profit that airlines are expected to earn in 2014. Indeed, without ancillaries, the industry would record losses based on its core seat and cargo products. Meanwhile, in North America alone, airlines are expected to post a $5.8 billion profit in 2013, increasing to $8.3 billion in 2014. In both years North American carriers will outperform the aggregate industry to deliver both the highest absolute profits and the strongest EBIT margins (4.8 percent in 2013 and 6.4 percent in 2014). 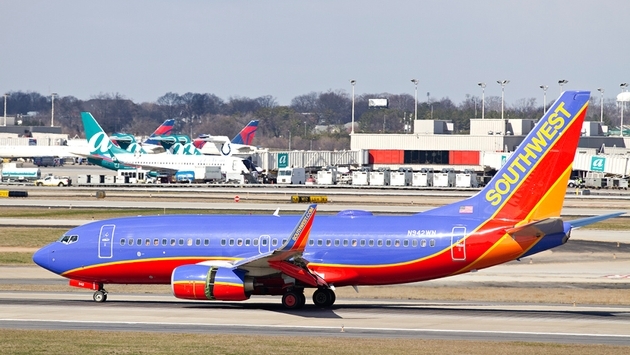 North American airline mergers, such as the AA-US Airways combination, and joint ventures on some international markets have helped to improve asset utilization and generate efficiencies. But higher government fees on airlines and their passengers, as a result of the recent Congressional budget deal, could damage airlines, investors and passengers, according to IATA.